Told through the eyes of eight-year-old Josie Banks whose recently inherited psychic gifts meld science with the paranormal, Under the Pines is a fast-paced and surprising story of abduction, mistrust, and murder. Author Jennifer Bisbing intertwines her own 1970&apos;s childhood memories of life with a renowned forensic scientist into an authentic whodunit. Drawing on her father&apos;s career -- which included forensic consulting on high-profile cases like the O.J. Simpson trial and JonBenét Ramsey murder, as well as the hit CBS show CSI -- Bisbing reveals how one girl, powerful beyond measure, can derail conventional crime scene investigation. In Bisbing&apos;s debut novel, interwoven within the fictitious plot, she reveals childhood memories of a life lived with a renowned forensic scientist. She takes you back in time to a Michigan with landlines, pet rocks, rust colored carpets, and before the advent of DNA testing. Bisbing&apos;s love of the written word drew her to a career in freelance writing, book editing, and web content management. 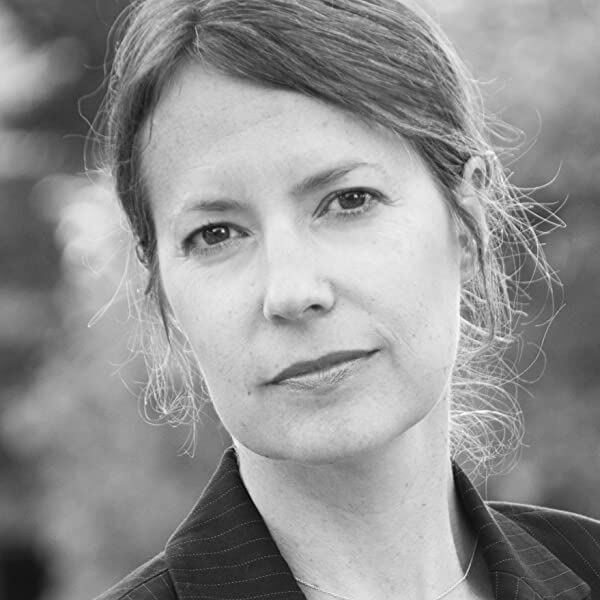 She also dabbles in photography -- taking after her grandfather, who loved documenting America on Kodachrome. When she&apos;s not behind a viewfinder or working with words, she&apos;s hiking in the woods. 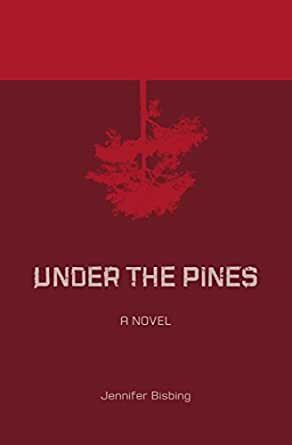 Under the Pines is a book that captures the fantastical view of a child raised by a scientist father, much like Atwood's Cat's Eye. All-the-while, it blends a mysticism that is reminiscent of Bless Me, Ultima. Best of all, it takes readers down a fast-paced mystery like none other. Bisbing's novel is delicious reminder of what it's like to be a curious child and a page-turning delight; it leaves readers wanting to know what's next for Josie Banks. A great story! I'm intrigued by what this author might come up with in her next book ... and please, let there be a next book! I would love it to be about Josie and how she uses her "gift" later in life. I agree with one reviewer who was very disappointed in the mom. Yes, she had her faults but she loved her little girl. Not all characters have to be sterling, wonder people except for the bad guy and she was one of those people you wished could be a better person. I disagree, however, with the reviewer who said the book was lacking in description. Here is a quote from the very first page of the story: "She saw herself surrounded by tall, dry rustling grass, soon to become tumbleweed. As morning broke, sunshine hit the grass, its dead stalks translucent as amber, rendering the field fiery gold." I also didn't see Josie as a spoiled child. Gifted and highly intelligent children can often be eccentric and that is how I saw her portrayed. It is a dark story that kept the perpetrator's identity from me till close to the end. I think the author is talented and hope she continues to write. 5.0 out of 5 starsI liked it! Jennifer surprised me with Under the Pines. Although the crimes and crime scene investigations (CSI) are made up (fictional), the forensic science is authentic with regard to the technology and the personology (factors influencing character’s lives); there are accurate descriptions of scientific techniques and accurate descriptions of criminalists’ biases and approaches to a forensic investigation. Remarkably, Jennifer captured the tension of the nighttime CSI following some horrific violence and the resulting stress on investigators and families alike. As a father of two daughters, parts of the story made me a little sad thinking how the CSI of too many cases might adversely affect my family. Nevertheless, as I read it for the first time, I couldn’t put it down, thinking: where will little Josie go next; what’s she up to now; and what will happen next to the people around her? You’ll be surprised like I was. This story is fascinating. Each time I see the cover of "Under The Pines" in my Amazon Kindle Library, I stop and revisit the psychological twists, and brutal truth that was Josie Banks life. Fiction, yes. Could it be based on true events, yes. Not normally a fan of murder mysteries, this may be the only one I've read. Having expected the novel to be depressing and overly melodramatic, I was pleasantly surprised. The book intertwines our family history with fiction in a way that fascinates me. The author's father is indeed a renowned forensic scientist and I am his brother. The author has the advantage of her father's expertise so the details are not "off the cuff." The book is easy and fun reading! I totally enjoyed this & it left me wanting more! I fell in love with the young girl, who happens to also be the main character. Her behavior is so typical of an 8 year old, I suspect the author has personal dealings with a child/children of that age! I never guessed the outcome till the end! Great job! 3.0 out of 5 starsNot sure how I feel..
3 stars seems fair since I don't have a firm grasp on how this story has affected me. The writing isn't the best - transitions are sloppy, the passing of time is confusing, and the characters are very poorly fleshed out. But, there was an originality to the story that kept me engaged. Conceptually interesting, but the writing needs work. 5.0 out of 5 starsSUCH a great book!!!! I read thrillers and suspense novels all the time and it's hard to come across something truly original these days. Under the Pines is fresh, new and totally full of surprises! Bisbing has a unique, original writing style that is so relatable and easy to read! I loved the plot and characters and surprising ending - it's one of those books one is sad to finish when it ends. I really cared about the characters. Bisbing's book is a remarkable combination of high suspense, thoughtful character development and laugh out loud humor. I REALLY enjoyed this book and highly recommend it as a super fun, quick read.